Others know you as the benevolent one. Through all types of experiences under the Sun. Bless us and remove our shackles, one by one. Sathyam, Sivam, Sundaram are attributes of divinity; in fact, they are frequently attributed to Rama and Krishna Avatars and to Sathya Sai Baba, as well as Lord Shiva. Sathyam means Truth. Truth is the basis of the Universe. Sivam means goodness, that which is without blemish; Sundaram means beauty, a most beautiful form. Saturn (Sani, Shani, Saneswara, Shanieshwar) despite his uncomely appearance and clothing, is in fact, Sathyam, Sivam, Sundaram – the embodiment of truth, goodness and beauty. His task is to take you to the light. Saturn does not care for outer appearances; his own appearance is often said to be unpleasing, with dark rags for clothes. Some astrologers even call Saturn the Grim Reaper … which is something of a significant error. Those that call Saturn the “grim reaper” do not know that the God of Death, Lord Yama, is in fact brother of Saturn and also has another role as God of Dharma (right action, right conduct). Saturn does not care for what names some might call him; his task is to provide you with experiences of frustration, delay and slowness. Thus are you propelled into detachment (vairagya) and discrimination (viveka). Saturn is the giver, the one who provokes discrimination. From discrimination, self-discipline is born. So you are invited to take time, not to haste, waste, worry. Saturn provides you with the opportunities to calmly examine the situation, remember God, and discriminate right from wrong. Saturn is raviputram (son of the Sun God), and chaayamarthanda, son of the Shadow of the Sun, the Sun’s (second) wife. His real nature under the dry, wrinkled skin, with straggly hair and split ends, cracked nails, is light. He task is to take you to the light of his Father. Saturn is vata (airy) in consitution, wears black clothes and and is often said to be dirty, lazy, shabby, covered in dust, and generally of a slow, shambling nature; his gem is neelamma, blue sapphire. Said to be of the Shudra caste, he is called Lord of time, longevity in the body and is reckoned a deep thinker. Many consider Saturn as terrifying among the planets! It is said that all beings fear him for he rules bereavements and misfortunes. He is master of sudden reversals, so thorough that one’s name may well be fogotten among the annals of mortals. His gaze (drishti) is directed downwards for it is utterly destructive. There is a tale of Parvathi wanting a new abode in Kailash, and when Siva (finally) granted the wish for an abode, Lord Brahma demurred and told, “Not wise, not wise!”, for he could sense the gaze (drishti) of Saturn would bring matters to grief. 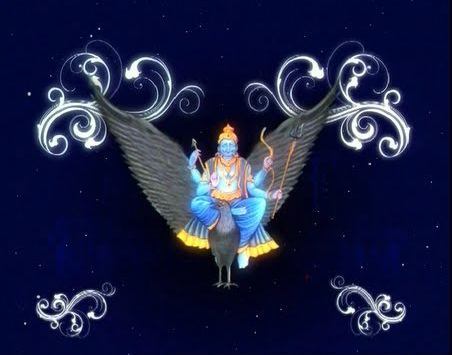 Siva went to ask Saturn/Shani to avert his gaze from the new house. To cut a long story short, there was misunderstanding of the signals, Siva beat his drum (dhamaru) (because he was doing the tandava dance for Saturn), Parvathi misunderstood the message and burned the house down. The moral of the story is that none may escape the drishti of Saturn. Lord of the sinews, the West and Saturdays, his constellations are Capricorn (Makara) and Aquarius (Kumbh). He is Lord of three Nakshatras, Pushya, Anuraada and Uttara Bhadri. He is also known as the Slow, the Son of the Shadow, the Angular, the Black, the Endless, the End-Causer, the All-Devouring, the Steady, the Controller, the Famished, the Emaciated. His name in Sanskrit is Shanishcharacharya, “the slow-moving preceptor, the teacher who moves slowly”. Saturn has the slowest movement among the visible planets. Traditional matters associated with Saturn are disease, death and the dying process – all of these are human and inescapable – the cause of death is birth. One of the main tasks of Saturn/Shani is said to be the cause of disenchantment – and therefore detachment from the ephemera, the fleeting, pointless, meaningless distractions and prattle of life. If a thing is going to be done, then it has to be worth doing. If is not worth doing, Saturn will cause delay, give frustration, and render outcomes which will be unsatisfying. The key task of the human is to make your life worthwhile; we recall that human life is time. One may take time to acheive anything worthwhile in life. Concentration leads to success in any endeavour and Saturn – Lord of Time – the slow-moving one – does just that, gives time for concentration so you may make your life worthwhile. The task Saturn has is to take you back to the light; the paramjyothi. Therefore, he causes disillusionment with the outer world and provides opportunity to pause, reflect, consider, undertake self-inquiry. Saturn, dispositor of discrimination, and will provide you with the time for discrimination; he is the master of mendicants, those who reflect and meditate alone. Thus he gives opportunity for detachment and independence from the madding crowd, the masses and mass energies (otherwise known as “flavour of the month”). He shows the way to transcendence—although difficult and unwelcome, filled with solitude—it is a way which overcomes all limitations. We are not the body, we are not the senses, we are not the mind. We are truly the immortal self, unborn, undying, ever-existing, ever-filled, ever-blissful. Whatever you brought with you into this birth, Saturn will take it away from you in order to return you to your true state, Sathyam, Sivam, Sundaram ~ truth-in-yourself, goodness-in-yourself, beauty-in-yourself. Hanuman is one of the few deities not afflicted by Shani. Hanuman is the one of the deities in Hindu religion, over whom Shani could not cast his spell. Shani—who cannot overcome Shiva, Vishnu and Brahma could not overcome Hanuman and as such people worship Hanuman to get rid of malefic effects of Shani. In the Ramayana, Hanuman is said to have rescued Shani, from the clutches of Ravana. In gratitude, Shani promised Hanuman that those who prayed him (Hanuman) would be rescued from the painful effects of Saturn, which in Hindu astrology, is said to produce malefic effects on one’s life when one is afflicted “negatively” with Saturn. Another version of the encounter between Lord Hanuman and Shani is that the latter once climbed on to Lord Hanuman’s shoulder, implying that he (Hanuman) was coming under the effects of the influence of Shani. At this, Hanuman assumed a large size, and Shani was caught painfully between Hanuman’s shoulders and the ceiling of the room they were in. As the pain was unbearable, Shani requested Hanuman to release him, promising that he (Shani) would moderate the malefic effects of his influence on a person praying to Hanuman. Hanuman released Shani thereafter. In the verses of the 1000 Names of Hanuman (the Hanumansahasranam stotra), Shani is one of the Names of Hanuman. The Shani stotra was composed by King Dasaratha,the father of Rama to please and gain the blessings of Shani Dev or Saturn. Shani enters the constellation of Rohini every 30 years or so. This transit of Saturn in Rohini is dreadful for kings and the ruling class. King Dasaratha pleased Shani so much by his dedicated worship that he skipped entering the constellation of Rohini during that period. Hence the Dasaratha Shani stotras are considered an excellent remedy for Saturn related troubles. Saturn/Shani transits all houses in the cycle of a person’s life, including transit of the natal moon, called Sade Sati, a seven-and-a-half year challenge. The aspect (drishti) goes to the third, seventh and tenth houses from Saturn’s location in the birth chart. To understand the influence of Saturn in your life, seek an astrological reading with the Puttparthi Vedic Astrologer, Sai Bharathi. Seek one reading here and make payment thought Paypal.